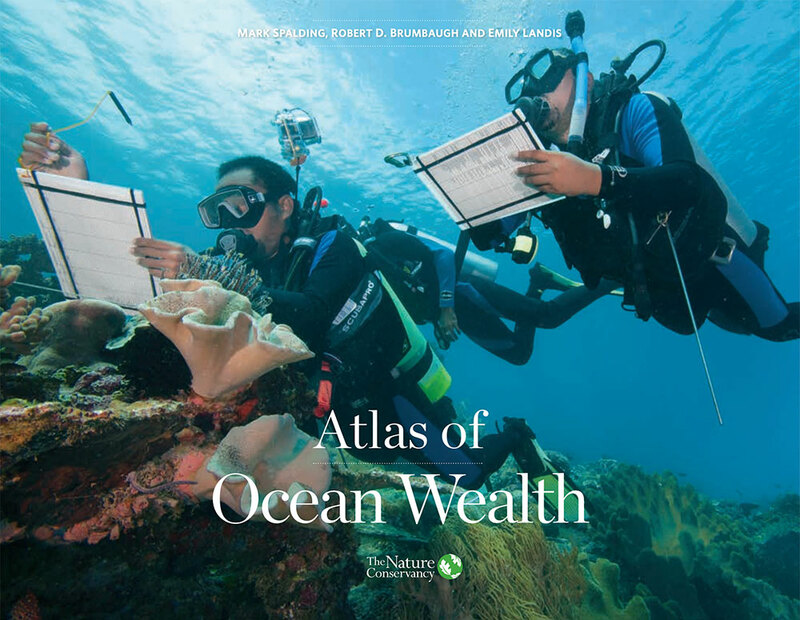 The Atlas of Ocean Wealth is the largest collection to date of information about the economic, social and cultural values of coastal and marine habitats from all over the world. It is a synthesis of innovative science, led by The Nature Conservancy (TNC), with many partners around the world. Through these efforts, we’ve gathered vast new datasets from both traditional and less likely sources. The work includes more than 35 novel and critically important maps that show how nature’s value to people varies widely from place to place. They also illustrate nature’s potential. These maps show that we can accurately quantify the value of marine resources. Further, by enumerating such values, we can encourage their protection or enhancement for the benefit of people all around the world. In summary, it clearly articulates not just that we need nature, but how much we need it, and where. What is the purpose? 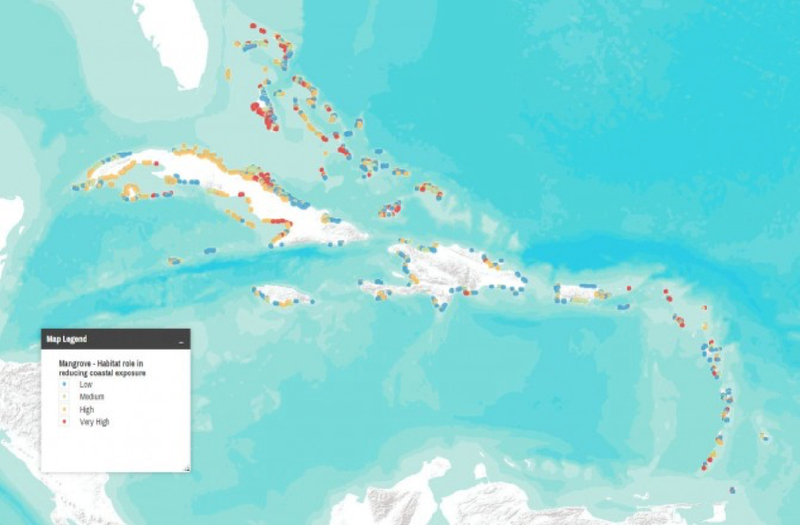 Since ecosystems provide services at different spatial scales and are often estimated through the use of complex models, the purpose of the Mapping Ocean Wealth tool is to visualize and simplify global, regional, and local ecosystem benefits for use in natural resource planning and policy decisions. It is intended to provide a critical mechanism to understand and explore specific ecosystem services such as fishery production, carbon sequestration, natural coastal protection, and recreation and tourism. We encourage the use of this tool to support decisions that include nature when trying to ascertain optimal management approaches to maximize societal benefits. What data are accessible? 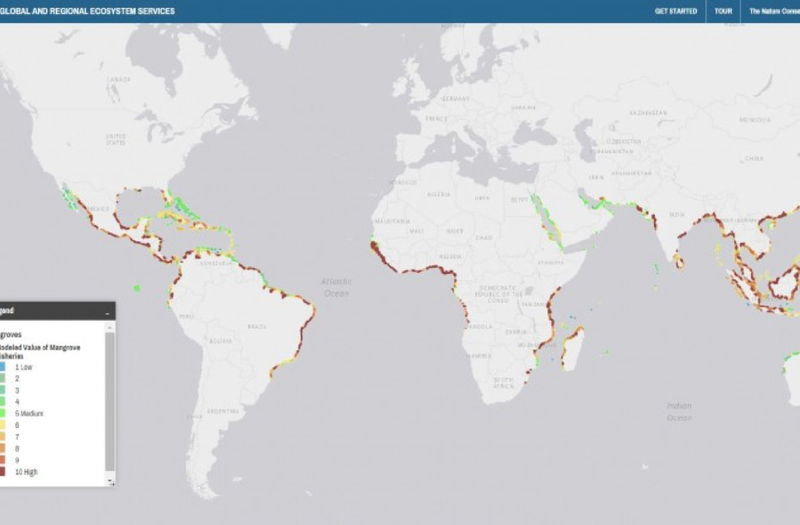 The tool contains social and economic data alongside ecological features allowing policy analysts, decision makers, conservation practitioners, scientists, business managers, coastal planners, and investors to connect these values with specific places. Select datasets are available upon request by emailing oceanwealth@tnc.org. See our data sharing policy here: Natural Solutions Toolkit – Data Sharing Agreement. 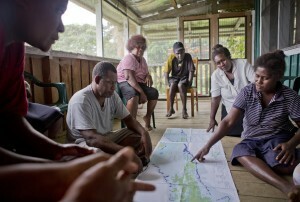 Regionally, the mapping tool focuses in seven specific areas — Lesser Sunda Ecoregion of Indonesia, Micronesia, the Gulf of California, the Caribbean, Florida, Australia, and the Atlantic Coast — summarizing information across and within regions as well as providing the ability to bundle ecosystem services.